Take a moment to think about your internet usage: how often do you go online, how much potentially sensitive information do you send across the net, and how many of your regular sites use the same password? We are all guilty of lax security when online – of course, it will never happen to us – but the truth is we are automatically susceptible to the actions of less than scrupulous users who, for example, might like to have access to our banking details. So what can we do to enhance our online privacy? Much of the advice regarding internet security is common sense: use a different, unique password for everything – not your birthday, or name – and use only sites that are secure. Do not give your password to anyone, and make sure your anti-virus protection is up to date. Use social networking sites with care: Facebook is great fun and very useful, but all too often people post data and pictures that give too much away. Make sure you have the right security features installed on those sites, also. Perhaps more than anything, you should invest in a VPN. 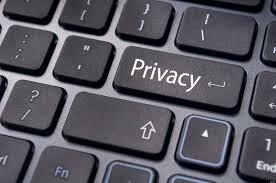 A virtual private network, or VPN, is fast becoming the most popular method of enhancing online privacy and security. Not only do these services offer you the opportunity to bypass geo-restrictions on content in some countries, but they also encrypt all your information and give you complete anonymity when browsing. They work by diverting your information from your ISP providers servers to servers that are operated exclusively by the VPN operator, and the guarantees are worth the small payment they ask for. Another golden rule when considering internet security and privacy is this: never open a link, by email or otherwise, that you were not expecting to receive. This is a common method of implanting spyware or malware in your system, and should be avoided at all costs. If you are not sure about the origins of an email, delete. Generally, paying careful attention to security when online is the best way; if something looks suspicious, it probably is, and invest in the best VPN you can afford.